When you’re in NYC make sure you stop by Flip Sigi ~ the original Filipino Taqueria ®. They are a modern take on Filipino cuisine specializing in unique tacos, burritos, rice bowls, burgers and bao buns. Their menu changes frequently with amazing “cheap eats” ~ check out their latest menu here! Flip Sigi can only seat smaller groups. Walk-ins accepted. Reservations are not necessary. Charming the classics such as Zagat, NY Times, and the Wall St. Journal, but also wooing BuzzFeed, Thrillist, and Business Insider; a combination of old school marketing and social media presence has cemented Jordan Andino as the millennial celebrity chef. Jordan was born in Toronto, Canada and began his foray into the culinary world at bright age of nine years old training with his dad, a renowned chef himself. As a teen he put his experience to use, working as a personal chef for families in the Manhattan Beach area, impressing the community with his delicious and complex meals. He went on to sharpen his business acumen at Cornell University’s Hotel School of Administration. With ambitions to be a standout chef, Jordan gained more valuable experience “staging” or interning at some the countries most reputable and respected restaurants such as Jean Georges in NYC, Spago in Beverly Hills, California and the prestigious, French Laundry in Yountville, California under Thomas Keller. Using his 5 years as both a dual-property executive chef and corporate executive chef with Funbars restaurant group in NYC, Jordan took on the task of managing and operating the Hampton’s hotspot Harlow East, in Sag Harbor, NY. After a successful summer, restaurant ownership was the only box left unchecked and this life long dream was realized at the age of 27. Jordan joined forces with Michael Ryan and David Sewell of Chibama Hospitality as a partner in early 2016. By the summer, Flip Sigi burst on the culinary scene. 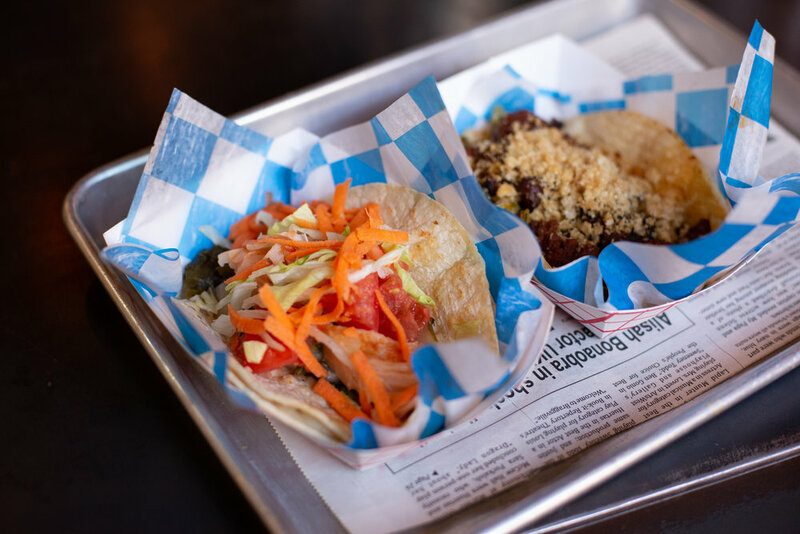 By creating a new genre of restaurant, the “Filipino Taqueria ®", Jordan used the momentum of Flip Sigi to be recognized as a culinary game changer under the age of 30 by ZAGAT and took his restaurant to fan and critical acclaim boasting near perfect ratings online and in print. With the Food Network, Food Network Canada, Bravo, E!, the Today Show, and every other major network under his belt, Jordan has his sights on gastronomical success in the near future. Jordan hosted his own TV show on The Cooking Channel & The Food Network called LATE NITE EATS. For more detailed information regarding allergies or special diets, please call or send them an email info@flipsigi.com. Chef Jordan Andino is also available for private events! For birthdays, conferences, bachelorette parties & private lessons shoot him an email at info@ForkKnife.com. Follow @flipsigi and @fork_knife on Instagram!